An extensive newspaper cutting appeared in the Mid Sussex Times on 27th July 1978 following the festivities to celebrate Handcross Primary School’s centenary. 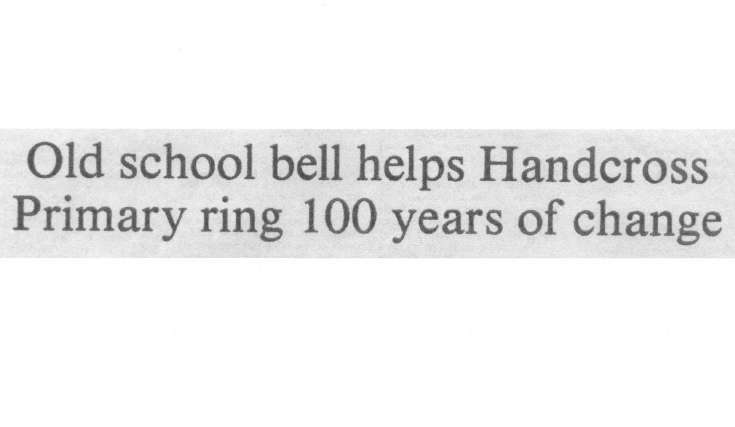 The 100-year-old bell was restored and re-hung on the façade and Mr Barry Gooders, a former headmaster, and Mrs Winifred Greenfield, ex-pupil and caretaker for 30 years, were given the honour of being the first two ringers. A video of the event is attached to picture #771. Select Open Document to view the whole newspaper article.